Brisbane Heat started the season of Big Bash League well enough but could not continue their victory. They faced Melbourne Renegades twice times in the ongoing season and faced two big defeat here. In the last match of the group stage in ongoing season, Brisbane Heat faced another defeat in BBL which was against Renegades and it was the 2nd defeat here. All total, Brisbane Heat played ten matches in the group stage of the season where they won four times so far. On the other side, Melbourne Renegades also started the 7th season of BBL very good and they able to continue their dominant here. So, they are in 3rd position by winning six match. So, they have qualified for the knockout round. 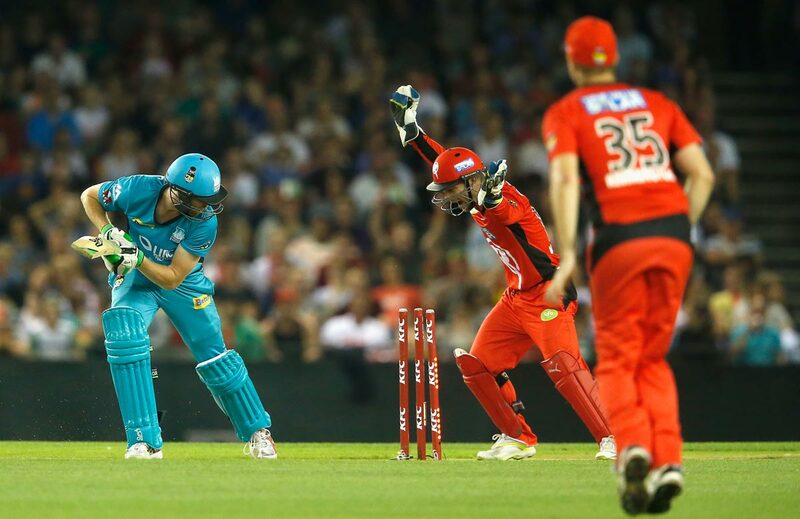 The 7th season of Big Bash started in the middle of the December, 2017 and till the match between Brisbane Heat and Melbourne Renegades which was the last match and it was 40th match of the tournament. Since 1st February, 2018 the semi final will start and before that here we discuss about the last match of the tournament. The match between them was hosted in 27th January, 2018 and as usual it was the day/ night competition. The Gabba, Brisbane it was hosted which is regarded as the home venue of Brisbane Heat in the BBL tournament. Earlier, Brisbane Heat won the toss and decided to bowl first. So, came to bat Melbourne Renegades started to make shot and finally did able to present a very handsome score which was 187 runs in front of the local team Brisbane Heat. So, chasing such big score Brisbane Heat could not successful but lost their all wickets in 19.5 overs. They totally scored 161 runs. So, Brisbane Heat was lost by 26 runs against Renegades. For Renegades the top scorer was Top Cooper who scored 65 runs and remain unbeaten and for the Heat the top scorer was Alex Ross who scored 36 runs so far. Tom Cooper was finally declared as the player of the match. Big Bash League competition is basically a domestic T20 league tournament which is based in Australia. Significant number of Australian players used to take part in every season of BBL. But also the franchise teams used to bring different top rated T20 specialists here from different nations. Nowadays Big Bash has become one of the two most popular league competition after Indian Premier League or IPL. But few people would take BBL as their first choice as well.